Columbia River Knife and Tool has released a really clever new tool that is easy to carry. The Cicada has some great features. The hard, plastic sheath has a clip that can be used on a belt. It says it can be used as a money clip, but I really don’t see that happening easily. You need to bunch the bills up and slide them under the clip because there is a lip that sort of locks the end of the clip in a groove. Other than that, this is a great tool You can see them at: www.knifecenter.com. Spyderco Knives announces an amazing turn of events in the knife universe- a real Spyderco knife at about $32US! OK, it’s made in China, but it is well made and it is a real Spyderco Knife. 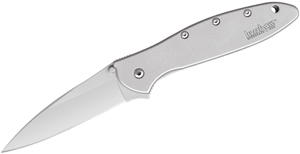 This folding knife has a G10 handle, a well fitted liner lock, four way clip placement, a total flat ground blade and it sells for $31.95! What’s not to like here? Another classic Boker leo Damascus! This on a smallish, gentleman’s folder. This is a real classic. An American Classic from Queen Knives. The Queen Big Chief folding dive knives have been a staple of underwater construction workers, fishermen and anyone who lives or works or plays in a marine environment. Unfortunately, Queen Knives has discontinued them. 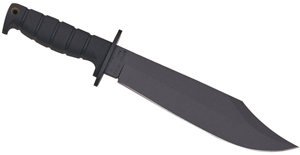 We have a great stock, however, and you can buy them at www.knifecenter.com while our supplies last. 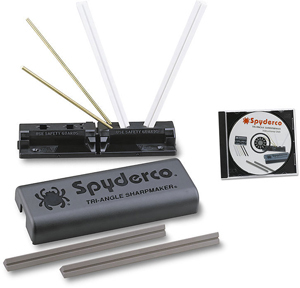 They all feature aluminum handles and stainless blades and so are very rust resistant. Grab one- or two- while they are available!